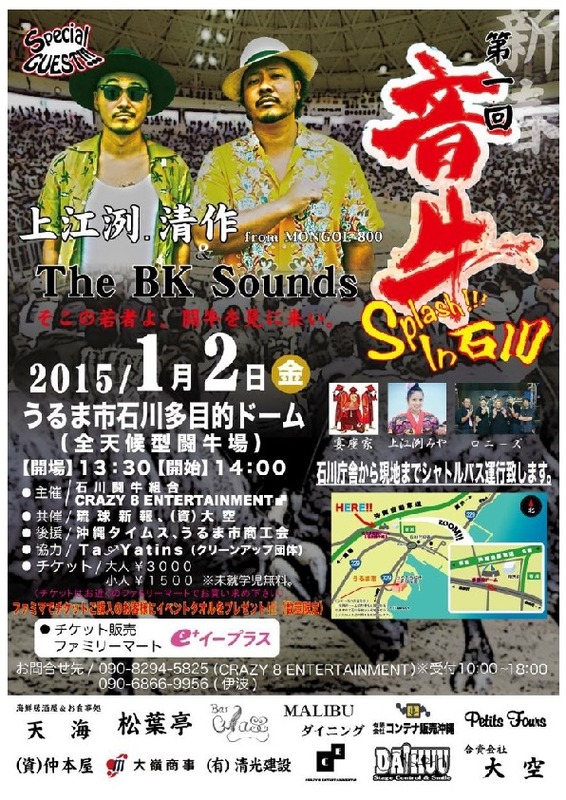 The New Year’s bullfighting tournament features not only exciting action but also a variety of live performances including a concert by popular reggae group Uezu Kiyosaku & The BK Sounds!!. Uezu Kiyosaku is vocalist and bass guitarist with Mongol800, a popular Okinawan band. He formed a new duo with The BK Sounds!! and has worked with many national and international musicians as a reggae DJ.